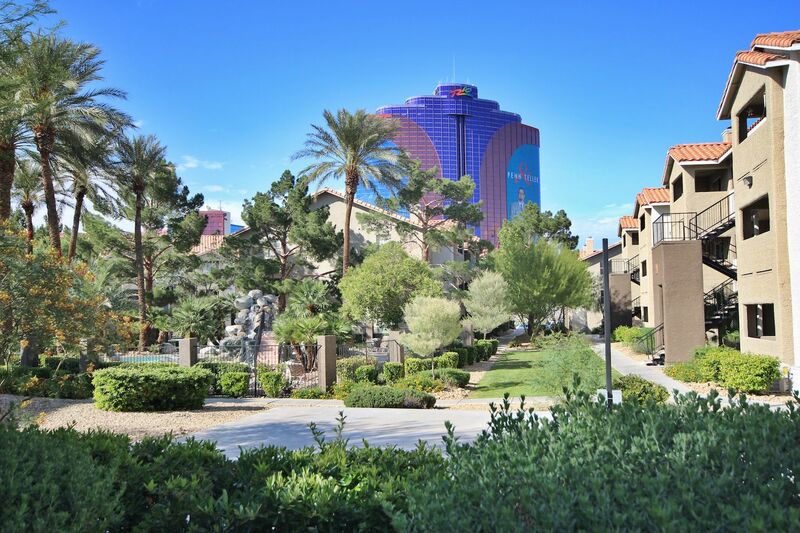 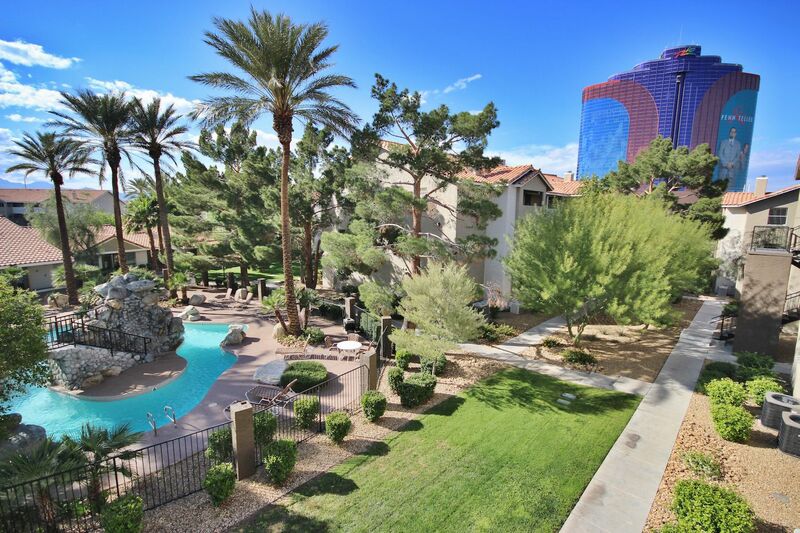 Located near the Main Strip Hotels and Casinos, directly neighboring the Palms and the Rio, this bright ultra-modern condo is perfect for your month-to-month extended stay needs. 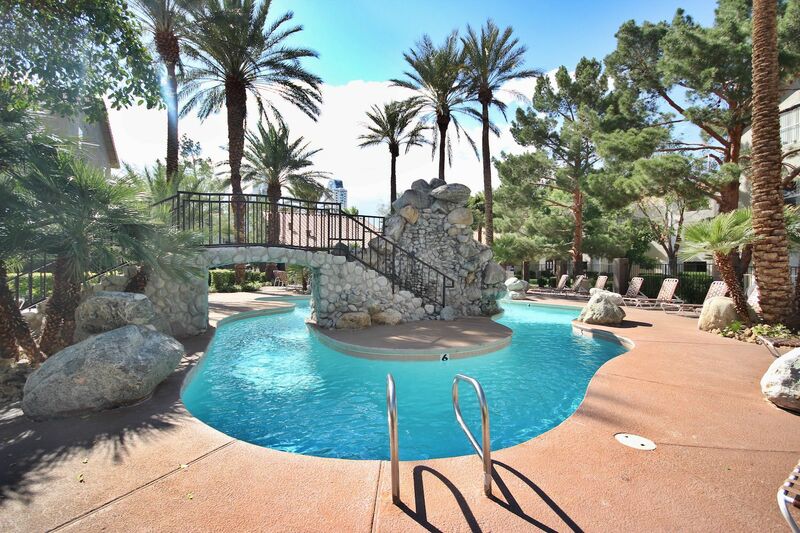 The Flamingo Palms Villas offers all our residents a 24-hour security gated entry, 2 pools, Jacuzzi, fitness center, and free parking. 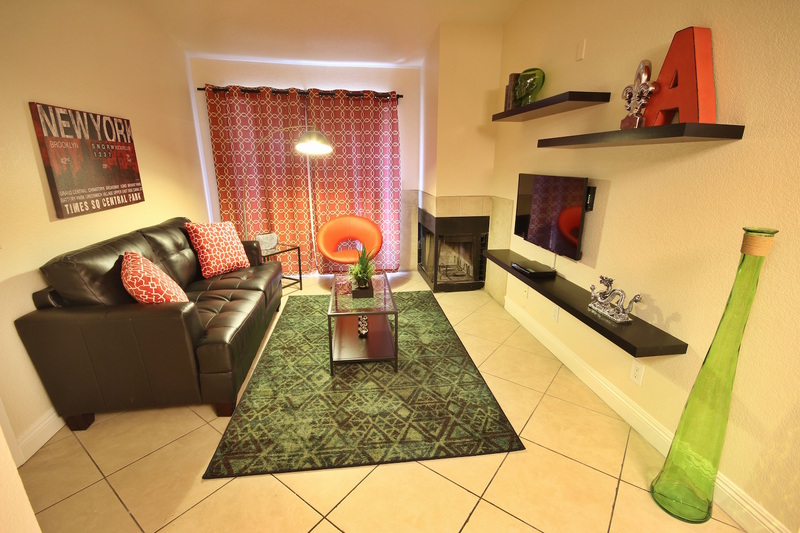 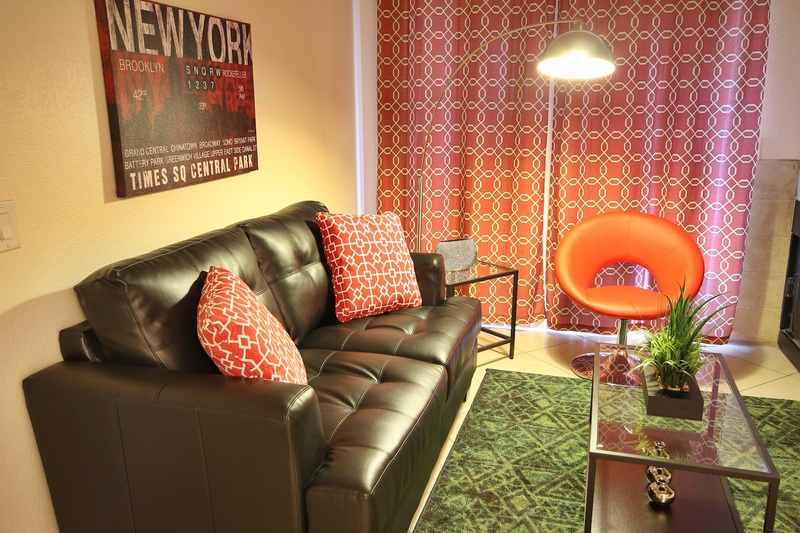 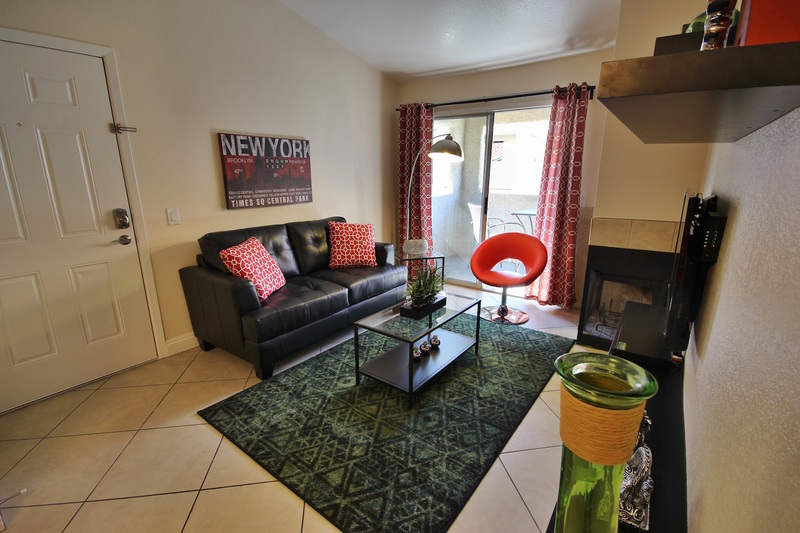 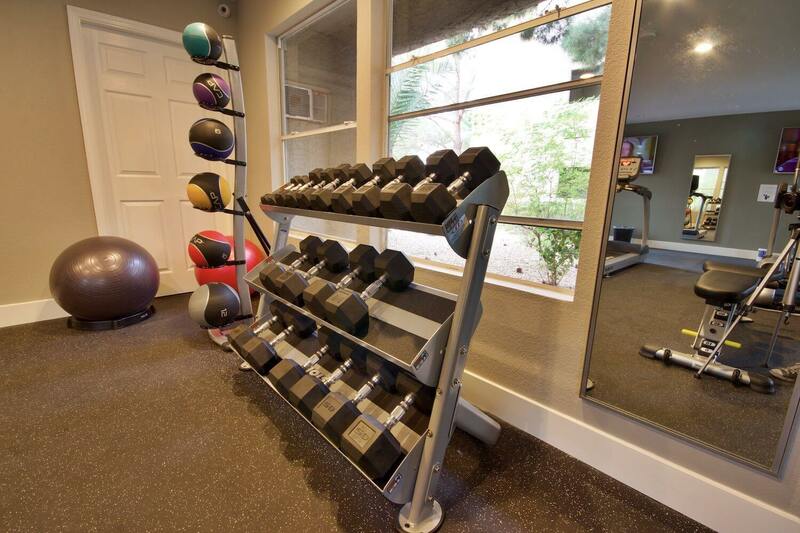 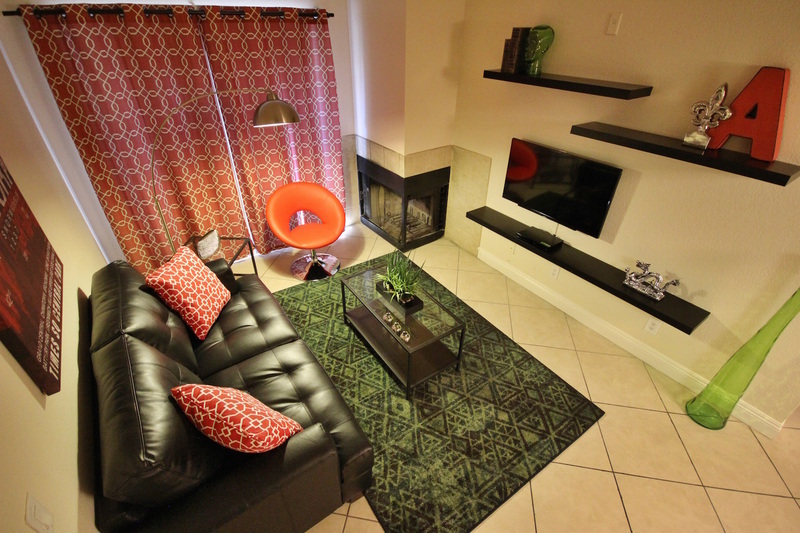 This fully furnished monthly rental has a freshly remodeled interior. 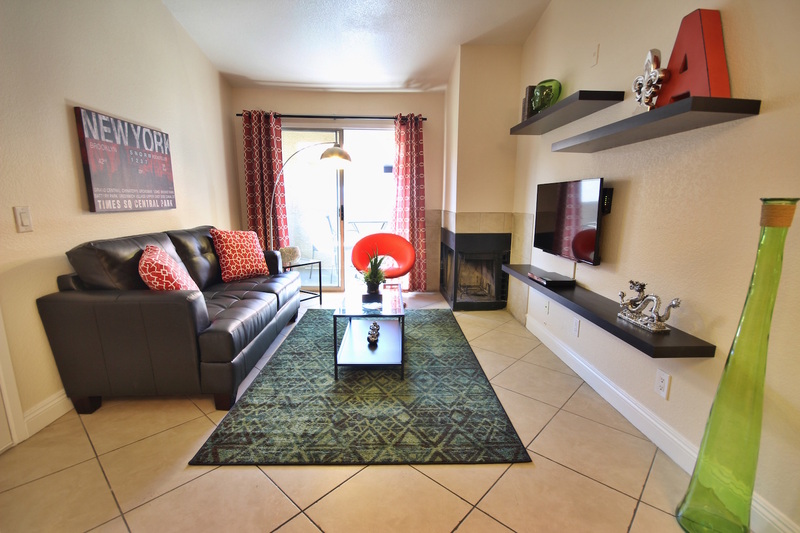 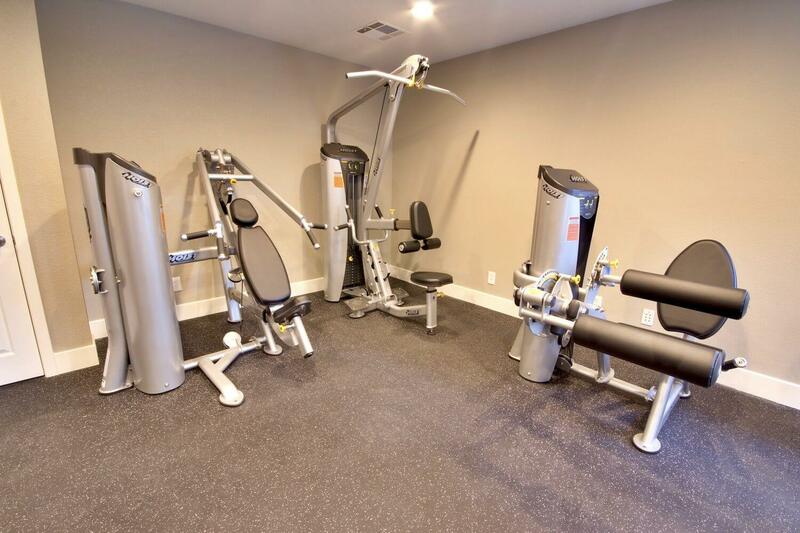 Appointed with modern and chic furniture, tile flooring in the living room, hardwood in the bedroom, and with granite counter tops throughout. 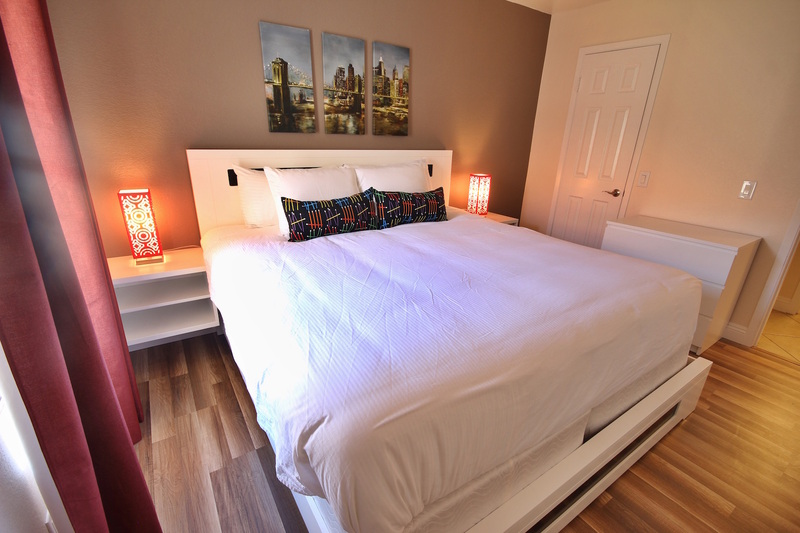 No need to pack any household items, all of our furnished monthly rentals come standard with housewares, kitchenware, fresh towels and linens. 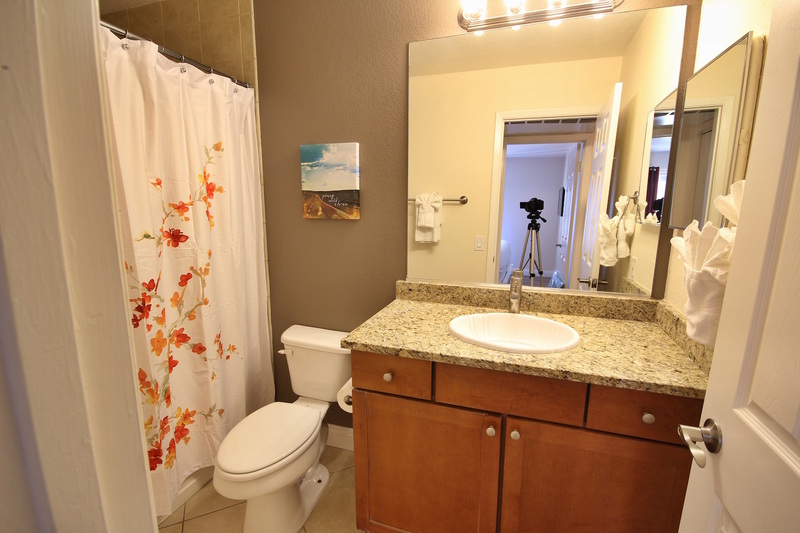 There is also a stackable washer and dryer in the unit. 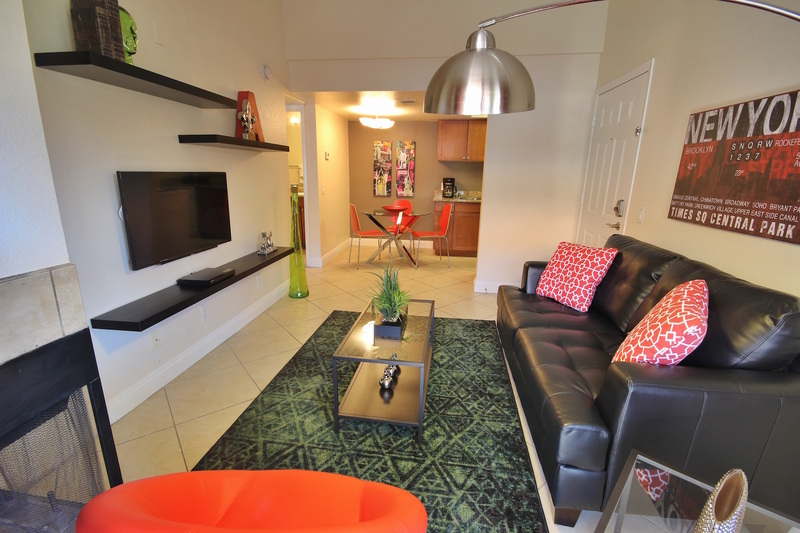 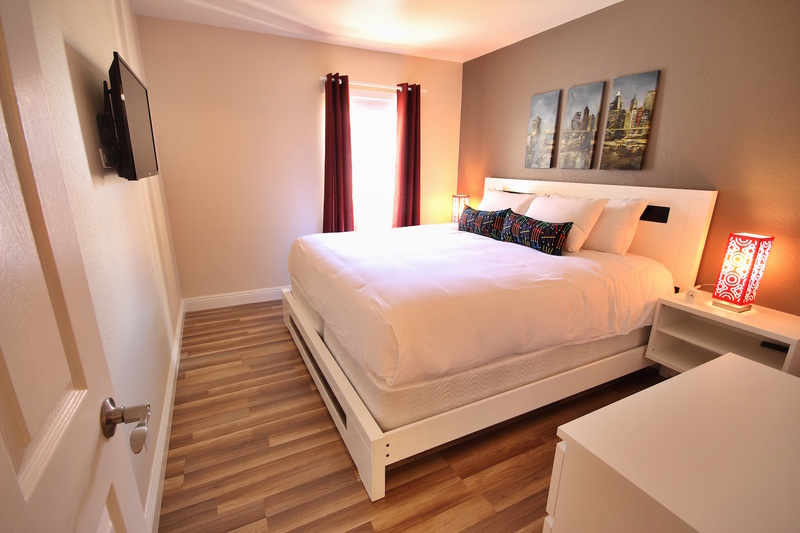 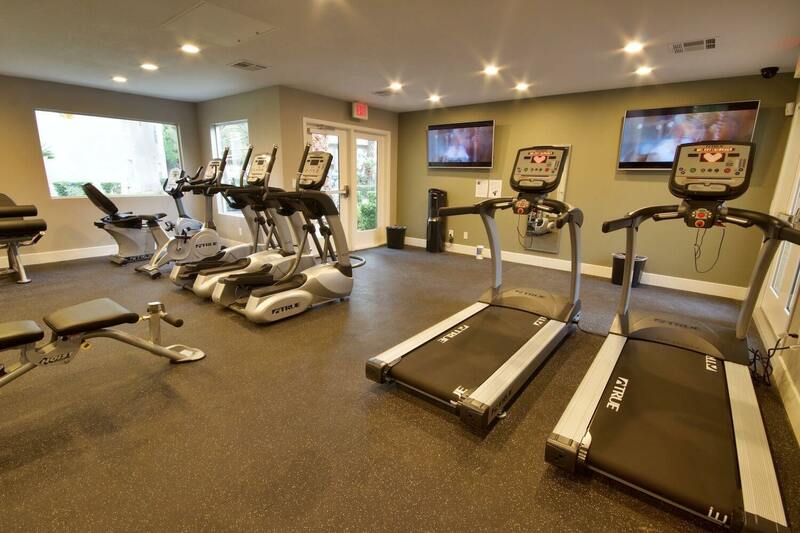 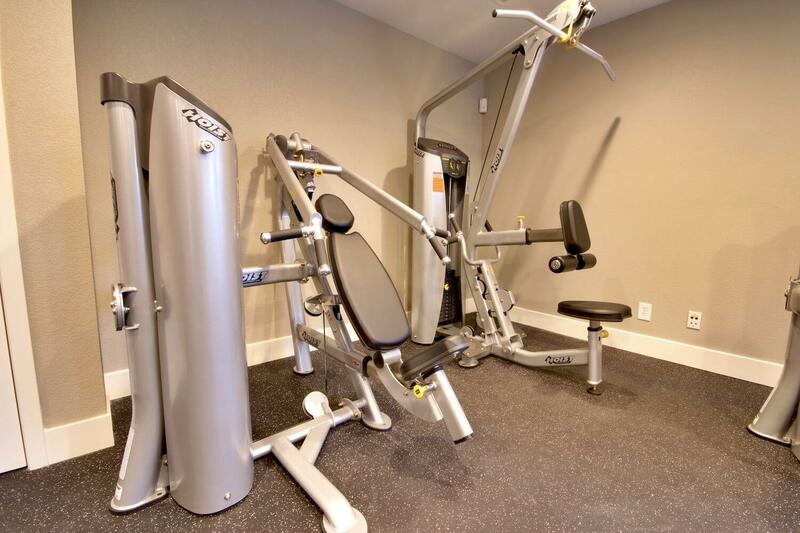 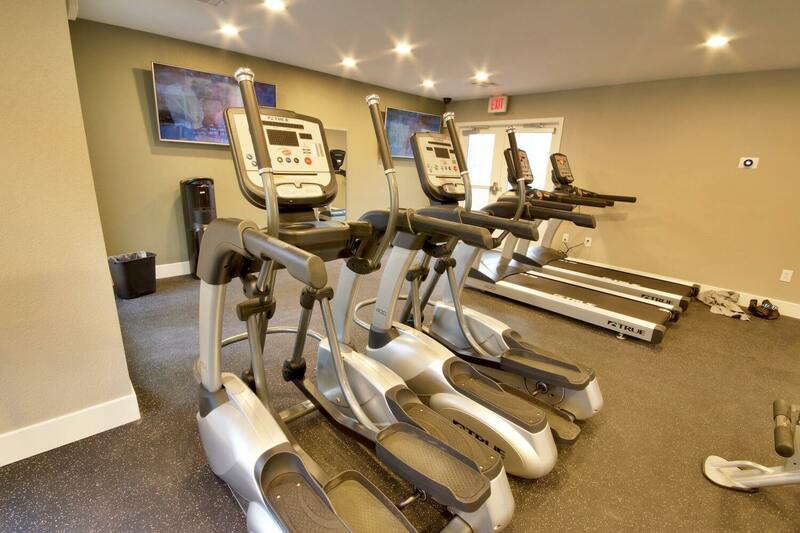 The affordable monthly rate includes all the utilities, Internet WIFI even cable TV! 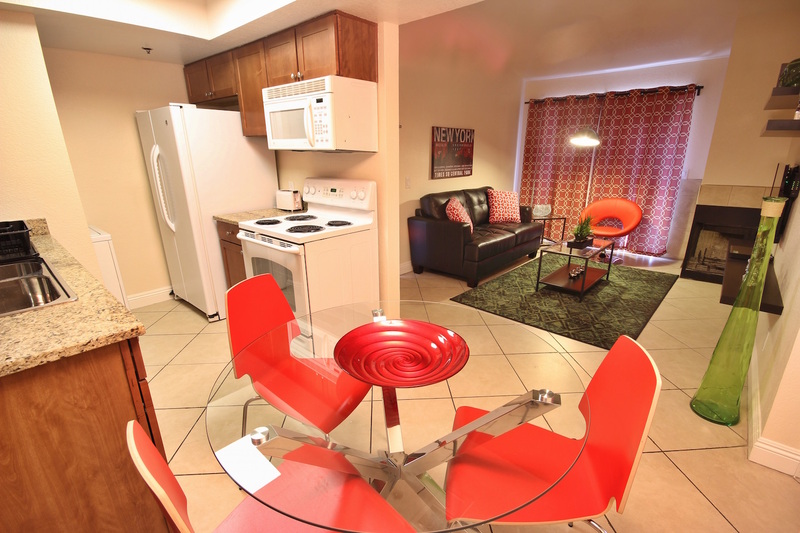 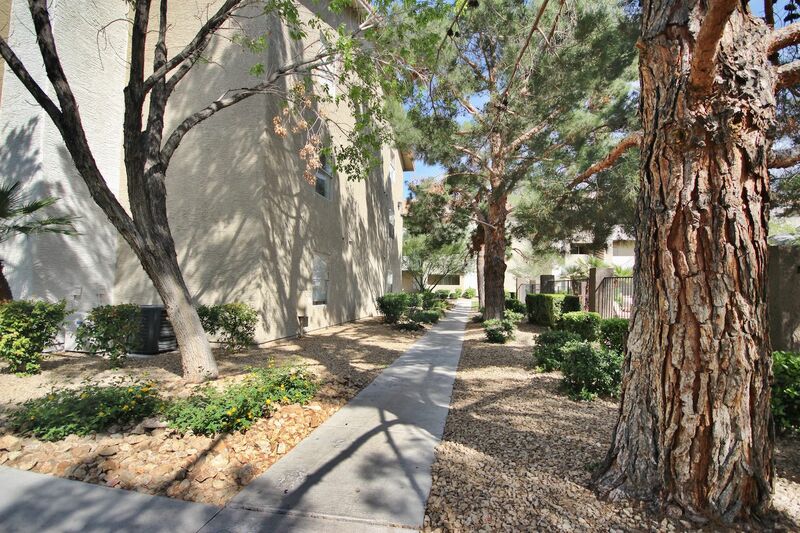 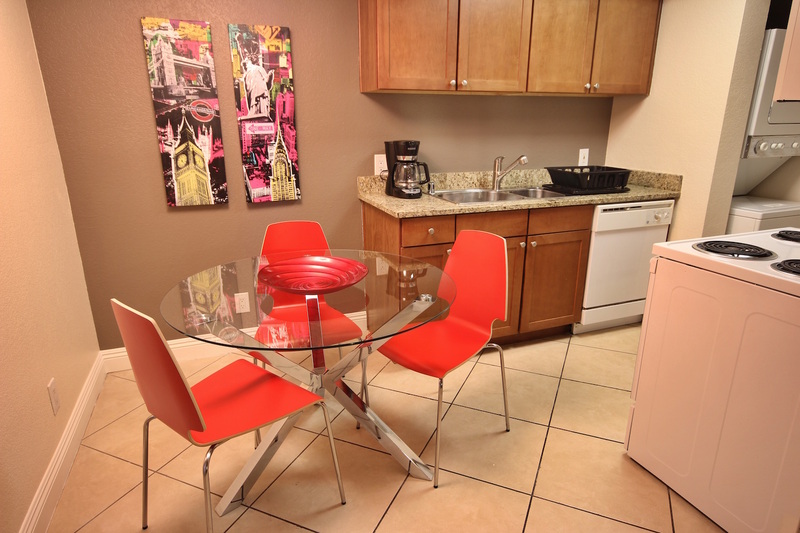 Rio and Palms View, Top Floor, Vaulted Ceilings, Laundry Inside, Walk-in Closet, Balcony, Cable Included, Free WIFI.